Popular American game show, Wheel of Fortune, is partnering with Minto Communities USA and Margaritaville Holdings to give away a new home valued at $350,000 as a prize for one lucky viewer for the first time ever. 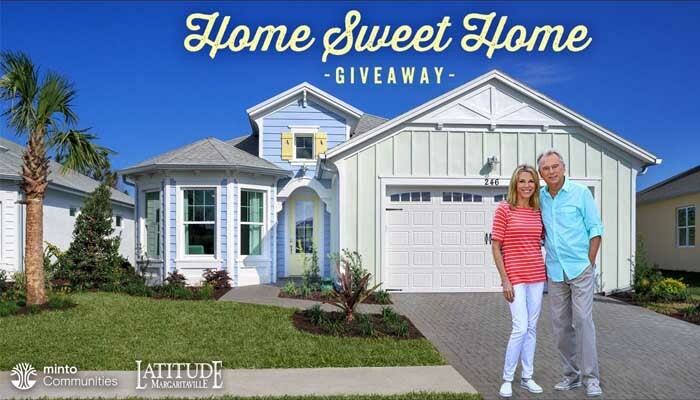 Titled the “Home Sweet Home Giveaway”, this program will air nationwide from October 29th to November 2nd, 2018. The home is located at Latitude Margaritaville in Watersound, Florida, an active adult community projected to open in early 2020. Latitude Margaritaville Watersound will be the third of the communities to be developed, find more information on this community here. Check out the article featuring this story here.